What Bean Bags were they at The Courier-Mail Home Show? Bean Bags R Us NewsOutdoor Bean BagsDid you see our Bean Bags at The Courier-Mail Home Show? 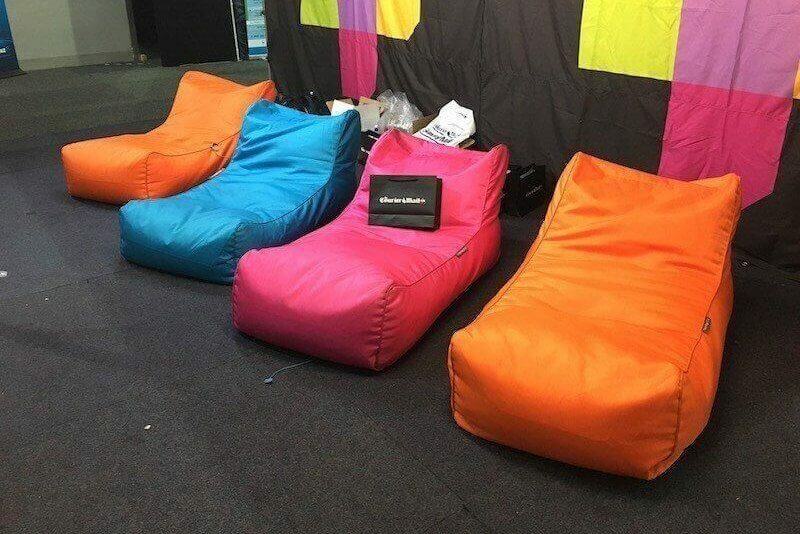 Did you see our Bean Bags at The Courier-Mail Home Show? The Courier-Mail Home Show in Brisbane is always a popular event, and this year was no exception. The 2016 show ran for four days from March 10 to March 13, and it hosted 280 suppliers in the building and renovation industries. As the show’s sponsor, representatives from The Courier-Mail were on-hand, and they offered guests a chance to sit down and relax on four large, outdoor beanbags from Bean Bags R Us. The Courier-Mail, the biggest newspaper in Queensland, sponsors the Home Show in Brisbane, and it is held each year at the Brisbane Convention & Exhibition Centre. This annual exposition targets anyone who is planning on building a new home, planning on renovating an existing home or simply discovering the latest trends in home design. At the Courier-Mail Home Show, suppliers of building materials, products, and services display their latest offerings and provide demonstrations, answer questions, meet potential customers and offer special sales. Just a few of the notable exhibitors were Ace Alarms & Security, Apollo Patios, Classic Pools, DesignBuild Homes and Spa World Australia. More than 30,000 people visited the expo to develop ideas, browse the latest styles and pick up an assortment of informational brochures. Visitors in the midst of planning a home project, whether it is a renovation, extension, kitchen, bathroom or outdoor project, were encouraged to bring blueprints, building plans or preliminary drawings to receive expert advice from industry leaders who are prepared to discuss options and provide quotes. In addition to receiving professional advice directly from the exhibitors, visitors took advantage of the seminars regularly scheduled throughout each day. The workshops this year focused on decorating for Easter and easy ideas for entertaining. Hosted by Lyn Mitchel Stocks Appliances and Falcon sponsored these workshops. Several companies unveiled new products for the home at the show. The Bora Basic induction cooktop from Bora Apac was proven to be a modern solution for compact kitchens, and the high-performance LED strip lighting from Green Illumination offered versatility, flexibility and energy savings for bathrooms, kitchens, and living rooms. Several new products focused on outdoor spaces, which many visitors seemed to find interesting and relevant. The AquaBright eco-friendly pool interior from Ken Jordan Pools made a splash with its revolutionary ability to give pools an attractive finish with and improved lifespan. Also, the Alfresco Outdoor Beverage Centre from Stocks Appliances could sit alongside the pool, keeping food and beverages cold on hot summer days. Another item for the outdoors that was a big hit at the Brisbane Home Show could be seen and tested in The Courier-Mail booth. The sponsor wanted to make the event as comfortable as possible for visitors, so they established a lounge with four outdoor beanbags from Bean Bags R Us. The four chairs were from the Media Lounge series, and two were orange, one was pink, and the fourth was turquoise in color. 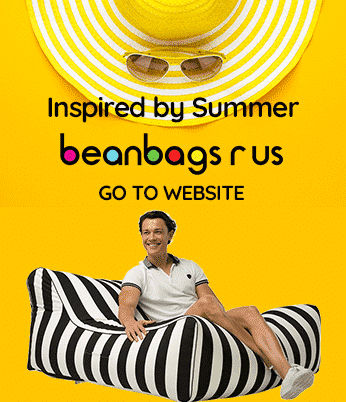 These stylish outdoor beanbags can serve multiple purposes as they are just as comfortable inside a home or office as they are by the pool or on a patio. Constructed of high-quality 1680D polyester that is resistant to water, they come with a protective coating that resists mold and UV radiation from the sun. Media Lounge bean bag chairs are also available in a wide selection of fun colors. This entry was posted in Outdoor Bean Bags.